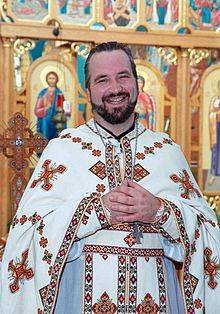 A Phelonion is a liturgical vestment worn by Eastern Orthodox priests. The Phelonion is worn over all of the priest’s other vestments. It was originally worn like a poncho draping down to the feet, but in modern times it is commonly just draped down to the waist of the wearer. The Phelonion is not limited to one specific liturgical function. The Phelonion comes in two main styles, the Greek, which fits over the shoulders, and the Russian, which has raised collars and covers the back of the neck and lower head. There is also a third, less common, style of Phelonion used by some Ukrainian and Bulgarian churches which is a cross between the Greek and the Russian styles. 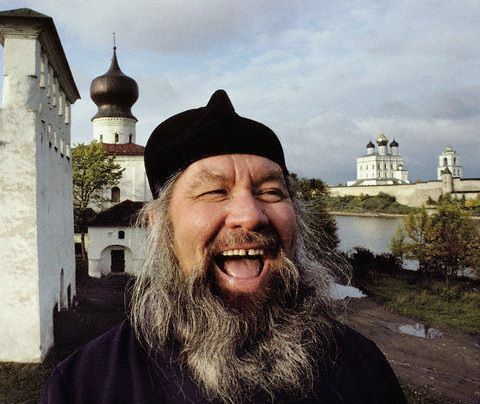 A Skufia is a pointed brimless cap that is worn by clergy members of the Russian Orthodoxy. Monastics are given black caps, while red and sometimes purple caps are awarded to clergy members. 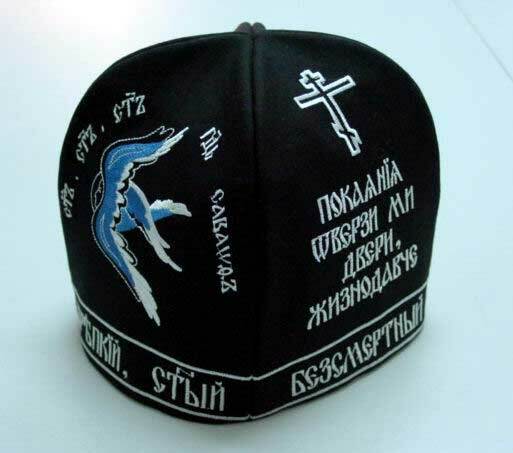 Skufia caps are give to Monastics when they obtain the level of novice, and also when they are tonsured. Nuns and monks who have been tonsured to the Great Schism wear embroidery of prayers and or crosses upon their Skufia’s. Bishops usually wear purple caps with a golden cross in the center. Skufias are worn during church services and any other religious ceremony. Beards in Eastern Orthodox faith among male members of the clergy have been a symbol of piety for centuries. Priests and monks will often only trim their hair if it becomes too long to distinguish between being male or female. The reason clergy men do not shave is because a number of passages from the Bible frown upon it, such as Numbers 6:5-6, and Judges 16:17-19. To have long hair or a long beard is seen as a commitment to God and to cut off one’s hair would be to cut off the power to God (Judges 16:17-19). A mitre is a head covering worn by a bishop in the Eastern Orthodox faith. 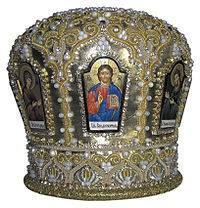 It symbolizes a “crown,” like that worn by the Byzantine emperor. After the Turks took over the Christian empire in the fifteenth century, Orthodox bishops adopted a style of dress that presented the imperial insignia. As a result, a mitre now represents a symbol for Christian victory in order to give Christian meaning to the new imperial style of dress. They are decorated with jewels and occasionally an icon of Jesus, John the Baptist or the Theotokos. 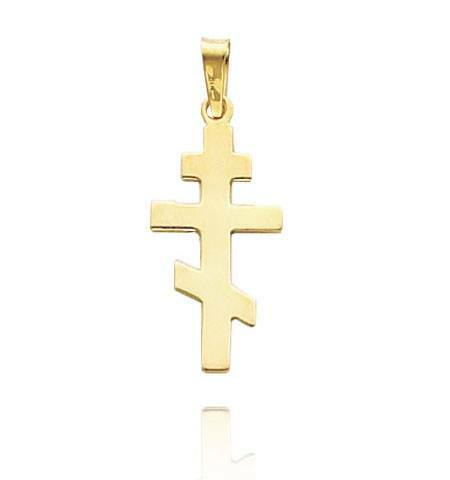 The Orthodox cross is considered the most common symbol in the Orthodox faith. The symbol is worn by many followers of this religion as necklaces but can also be found in households as decorations and as other jewelry. The cross varies in proportions but is always recognized by the three distinct horizontal bars. The large bar is traditionally found in every crucifix as the arm post. The smaller top bar is meant to represent the sign on Jesus’s cross that read, “This is the King of the Jews.” The bottom, slanted bar is a supposed to be the footrest that was often put on crosses in order to prolong the process and it is slanted because Jesus was rumored to have suddenly jolted as his spirit left his flesh. The Orthodox cross is worn as an open display of the Orthodox religion and is very popular across most of Eastern Europe. 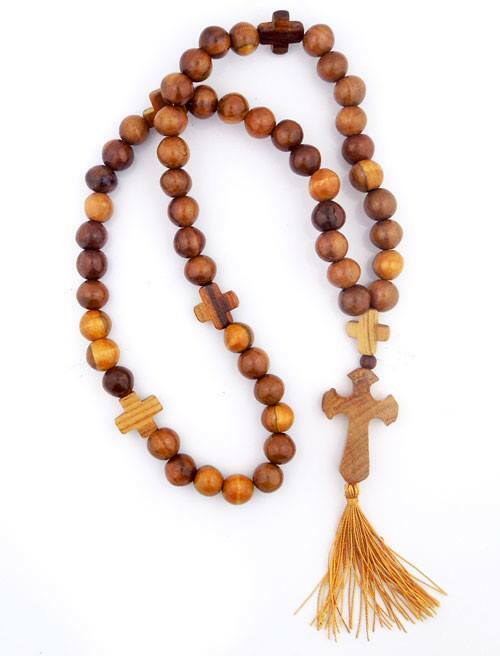 The prayer rope looks like a bracelet/necklace made with beads and is used for praying in Eastern Orthodoxy. However, it is not worn on the wrist or neck, Orthodox Christians hold them in their left or right hands. They are, especially, held in their left hand during church service when the priest leads the people into prayer. 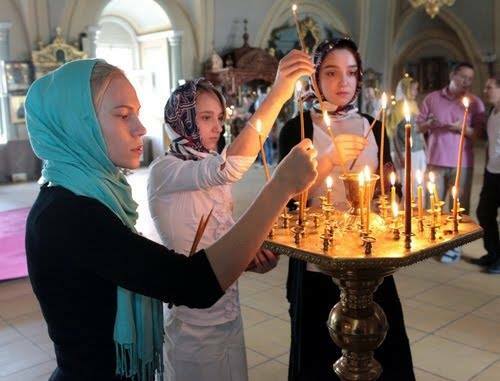 During church prayer, Orthodox Christians will use their right hands to form a cross over their chests and, with their left hands; they go over every knot on the bead rope with their thumbs and index fingers. While they go over each knot with their left hands, they say, “Lord Jesus Christ Have Mercy on Me” and/or “Most Holy Theotokos save us”. 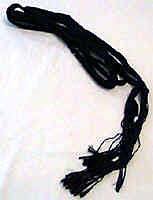 Most prayer ropes have cross-shaped knots in them, which comes from a story of a monk. The monk’s prayer rope kept getting untied by the devil, but an angel came and showed him the tie it in cross-shaped knots so that the devil could never untie the prayer rope. A gartel, a Yiddish word for “belt,” has significant religious meaning to Jewish men. 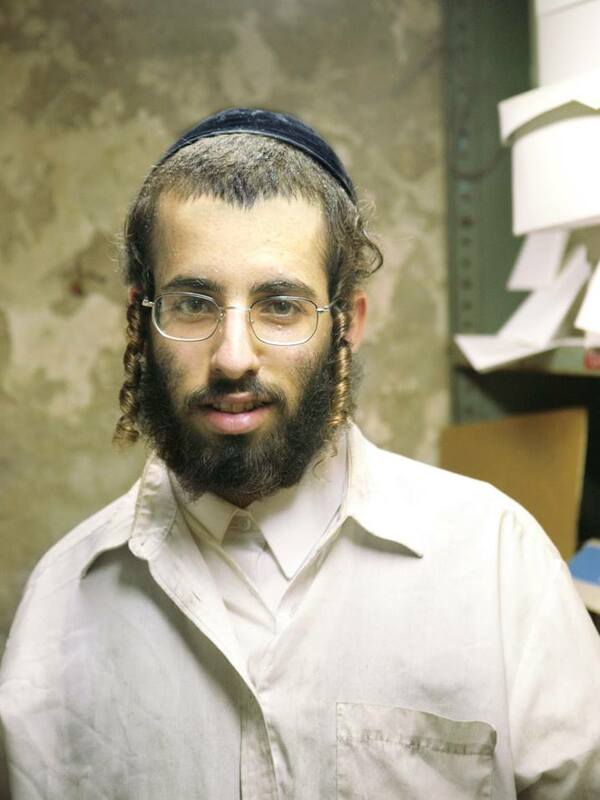 Generally, the gartel is worn by Hasidic Orthodox Jews. Gartels are usually black, but a white gartel may be worn for holy days such as Yom Kippur. The average gartel is composed of four to forty strings. The gartel is particularly important because of the Jewish law that mandates a tangible divide between the heart and the genitalia. In conjunction, wearing the gartel is recognized as a preparation for prayer. In fact, the Mishnah Berurah, a book outlining daily Jewish living, it is stated that one requirement for preparation is a waistband and that the gartel fulfills the second requirement. 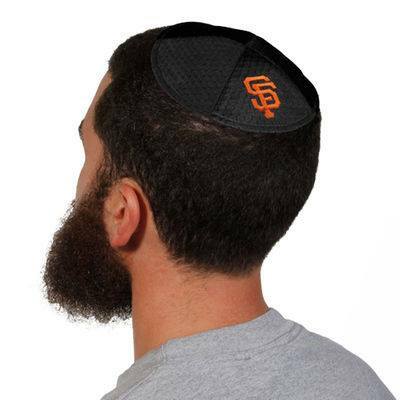 The kippah is a small hat worn by Jewish men as a symbol that God is watching over you. Heads are covered during prayer, studying, and eating as a sign of respect toward God. The tradition of where, when, and by what age group to wear the kippah has varied over time, but today only extremely religious Jews will wear the kippah at all times. Traditionally only for men, today some women wear them well. Due to the unclear guidelines of the size, color, and fabric of the kippah, there are many designs available. The Tichel is a head covering worn by married Orthodox Jewish women. The Tichel is often worn in order to adhere to the Jewish code of modesty, known as tzniut, which requires women to cover their hair when around anyone other than close family members. Tichel’s can vary from elegant pieces of clothing to very basic pieces of cloth. Many Orthodox Jews believe that wearing the Tichel honors the privacy of the intimate relationship between married couples. 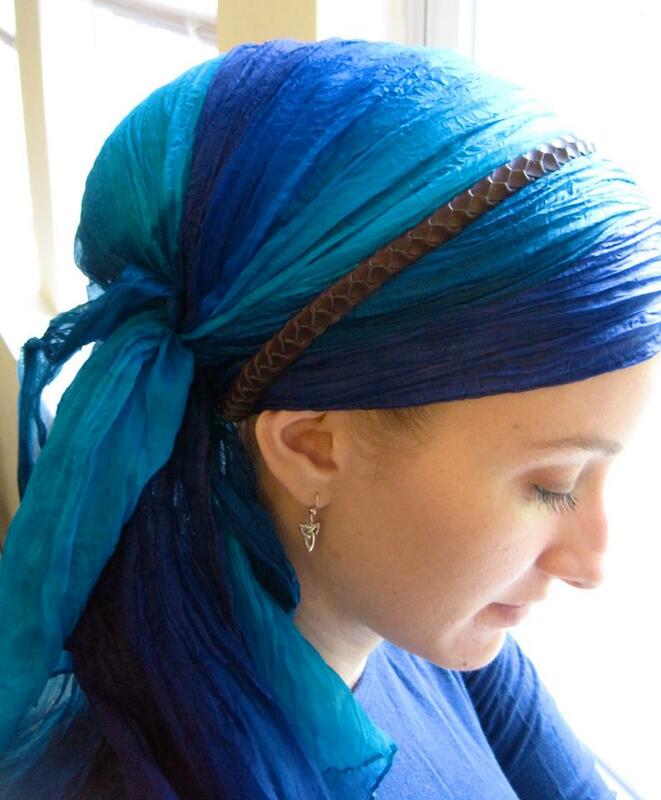 Some Jewish women believe that by wearing the Tichel that they are preventing their image from being sexualized, and ultimately preserves their religious and personal identities. A bekishe is a long coat, and it is usually worn by Hasidic Jews. It is usually made of black silk or polyester. The bekishe is worn mainly on that Shabbat and Jewish holidays, or at weddings and other important events. Hasidic rabbis who wear a bekishe during the week will wear a more ornate version lined with velvet or differently colored for Shabbat. There are two main types of bekishe, the Glatt and the Tish Bekishe. 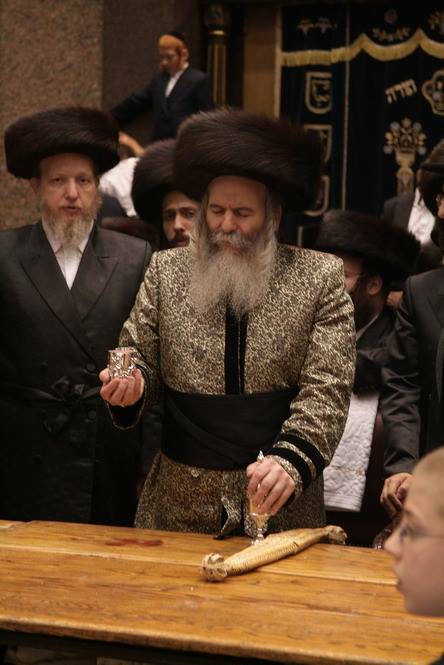 The Glatt is solidly colored and usually worn on Friday night and Saturday morning prayers. For Shabbat meals, a Tish Bekishe is worn. The Tish Bekishe is patterned and is also worn by some during the afternoon prayer service and the night after Shabbat. Some non-Hasidic Orthodox Jews wear a Tish Bekishe during the Shabbat meals. 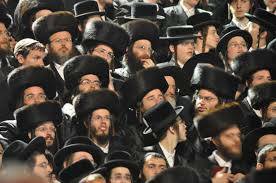 Many Hasidic rabbis, mainly of Hungarian descent, wear Tish Bekishes with various colors usually blue or silver with black. Sources: “Bekishe.” Wikipedia. Accessed October 8, 2015. https://en.wikipedia.org/wiki/Bekishe. The Kolpik is a traditional Jewish headgear made from a single piece of soft, brown sable fur that is expensive and made by few craftsmen now and days. It is worn by Hasidic Jews or their unmarried children after their Bar Mitzvah on Shabbat, family weddings, and other Jewish holidays including Hanukah. The word kolpik comes from the Turkish word Kolpak, for this type of hat. At first glance it is difficult to distinguish the Kolpik from other traditional Jewish fur headgears such as the Spodik and Shtreimel. Tzitzits are fringe tassels on cloaks worn by Jewish men. They are on a tallit gadol or a tallit katan, big and little cloaks. There are four wollen-spun fringes that hang on each side of a hole, which makes it eight. They represent the Torah’s 613 do’s and don’t’s. 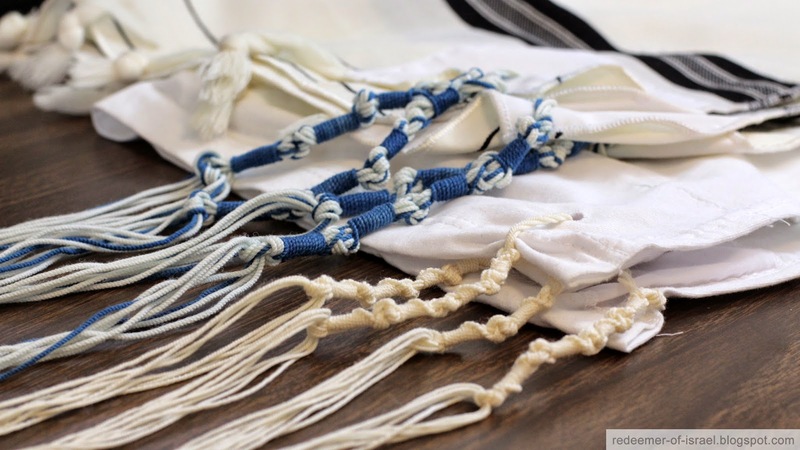 In the Hebrew alphabet, every letter has a numerical value and tzitzit equals 600. The eight strings and five knots equal 613. Wearing tzizit differentiates Jews and is worn proudly. It is a visible reminder to Jews of God’s commandments. The Shtreimel is a fur hat worn by Hasidic Jewish men on Shabbat and other holidays, made from different kinds of marten or fox fur. They are traditional an expensive status symbol, as they can cost up to $6000 today. They are meant to be worn by married men, and often the bride’s father will purchase the groom’s first shtreimel for him. There are a few rumored origins of the shtreimel, one of which being a rebellious reaction by Jews to an antisemitic law that all Jews must wear a “tail on their heads.” The tradition of wearing the shtreimel is carried on primarily only by Hasidic Jews, because after Napolean took over Poland in the early nineteenth century most denominations of Judaism assimilated to Western dress, abandoning the shtreimel among other things. The Payot is a traditional hair style in Jewish Orthodox religion. Men’s hair is supposed to grow out and be worn at the side of the head in front of the ear. 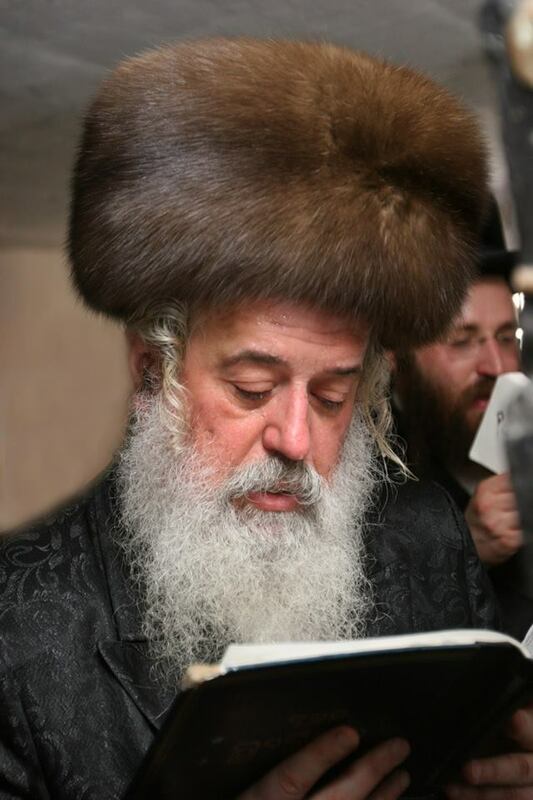 The payout is important because Orthodox Jews believe that letting the hair grow at the sides is God’s will; Leviticus 19:27 states, ” Do not round off [the hair] at the edges of your head.” By observing this commandment, they make a serious commitment with God. During the Holocaust, payots were cut off from Jewish men’s faces in order to mock his commitment to God. The act of cutting off the payot would also strip away the Jewish man’s identity. Payots are important because they show what people belong to. Awrah is not so much an article of clothing as it is a concept of the body in the Islamic faith. 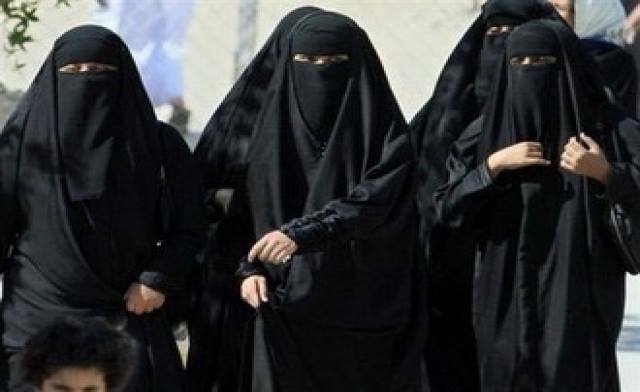 The awrah is any part of the body on a man or woman that cannot be shown in public. For men awrah is considered anything between the belly button and the knees; this area must be covered at all times. For women the awrah changes depending on the company they are in; when in public the awrah is everything that is not the hands or face, but when in front of close male relatives their awrah is a bit less strict, extending from the belly button to the knee and the stomach to the back. According the Quran, awrah does not exist between a man and wife.